Hi everyone, and sorry it’s been a couple of months without me posting any news and updates on the site. It’s been a hectic first quarter, with photographic trips to Gujarat for the Indian wolf and Botswana for a green Kalahari and the zebra migration, all of which have been fitted around appearing at the Adventure Travel Show in London, the New York Travel Show and, at the end of the coming week, the Photography Show in Birmingham. When you throw in some ongoing book work, a few talks and a night presenting the Nat Geo Traveller Photo Awards, you’ll appreciate that things have been, well, a little crammed time-wise! 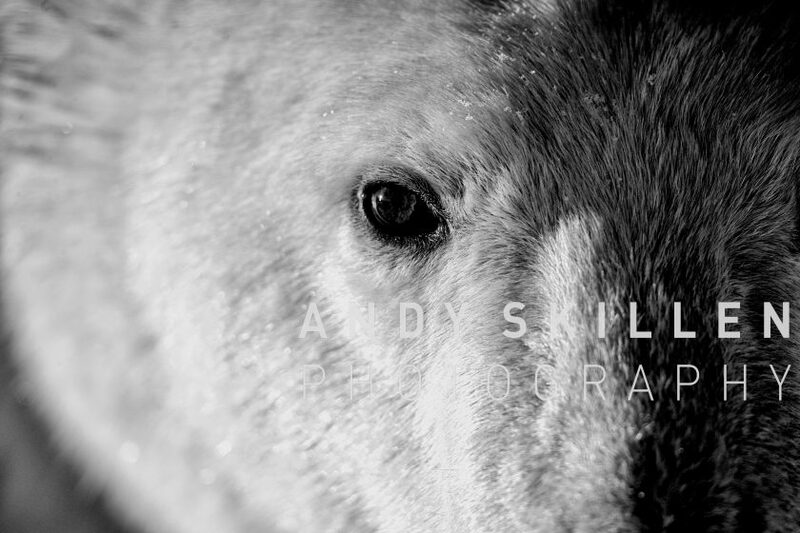 Still, always good to be busy, and off the back of the show at the NEC, I’ll be looking forward to heading off to Baffin Island to, well, hopefully, see more polar bears and newborn cubs. To be the first person to ever do this once was incredible…to do it again, well, exceptional….and I can barely sit still as I gear up for the expedition. 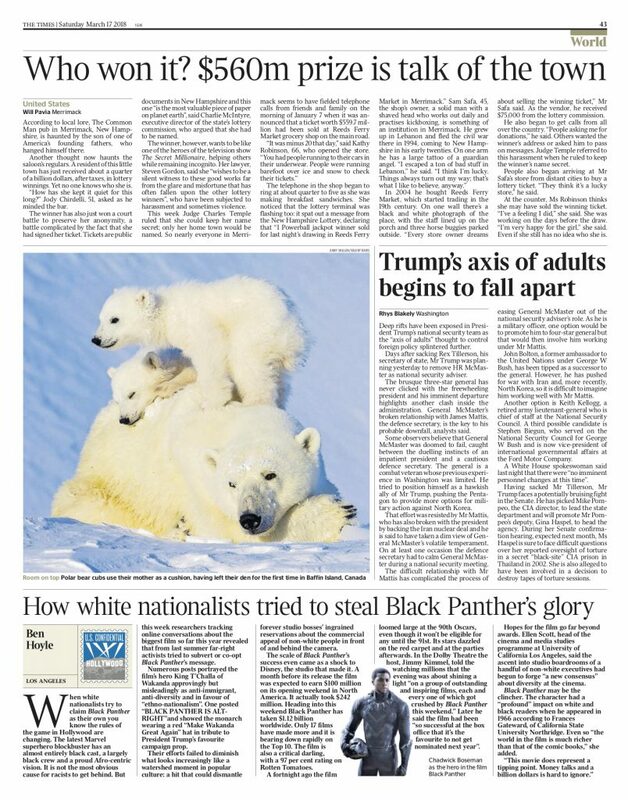 Indeed, to get me even more in the mood it seems, the media opted to use some of my polar bear pics on March 17th, both online, and in print (The Times shown below here). Good timing on their part as the photo show was about to open at the NEC that day! Anyway, just a quick note for now, with more news on the Indian and Botswana trips to come shortly. We’ve just finalised my polar guiding for 2019, and as such am delighted to include all the details for you on a new brochure that is attached here. I will be working for Churchill Wild once more, leading both a Dual Lodge and single lodge photo safari in 2019, and I will be inviting people to join me for another trip to Baffin Island next Spring. For the latter, please email me as soon as possible. This trip will not be finalised until the summer, but the quicker you get your name down, the better chance you have of being included. . Likewise for the trips to Manitoba in the Autumn. You can come directly to me, and I can help you try and get on one of these iconic trips to two of the best lodges in North America, and with a unique chance to see polar bears, wolves, caribou et al…on foot! Let me know as soon as possible if you’re interested in either of those safaris for 2019, as they do fill very quickly. Coming via me means you get to book directly with Churchill Wild ultimately, so no hidden costs or fees, and also means I can lend weight to your application in terms of getting you on the list. I will also be offering pre-departure webinars for these trips too. Anyway, download the brochure with the link below…and let me know!